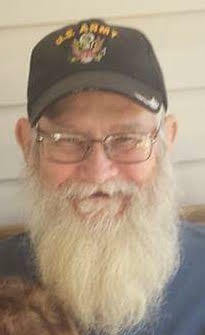 William Kenneth Barkhouse, a longtime resident of Stockton, Alabama, passed away on Tuesday, October 23, 2018 after a long illness at the age of 64. He was born in Randolph, Massachusetts on August 30, 1954. He served in the United State Army from 1972 – 1974 in the 101st Airborne as a helicopter mechanic. He loved God and his country. He liked travelling and meeting new people. William is survived by his wife of 33 years, Marie; sons, Karl, Kristopher (Amy) and Keith; one granddaughter, Kaylee, all of Alabama; daughter, Rebecca of New Hampshire; sister, Dorothy Crasco, of Florida and brother, Carl of Virginia. There will be a graveside memorial service on Friday, November 9, 2018 at 1:30 PM at the Alabama State Veterans Cemetery, 34904 State Highway 225, Spanish Fort, AL. In lieu of flowers, if you would like to make a contribution to the family, please make checks payable to Kristopher Barkhouse.